When effective collaboration intersects with world class engineering, it’s a winning combination that empowers the existing CATIA user experience all the way down to manufacturing. 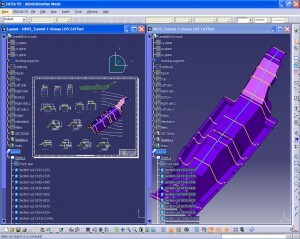 Benefit from an extended set of applications for the creation and management of sophisticated mechanical projects, including part design, sheet metal, tooling, assembly design, functional tolerances and annotations, kinematics and fitting simulation, DMU review, advanced surface design and more. The offer brings together a large set of CATIA V5 applications, empowered by the 3DEXPERIENCE® platform, allowing strong collaboration capabilities alongside of strong CAD management capabilities. CATIA Engineering Excellence contains three packages to get you ready for 3DEXPERIENCE CATIA. Finding ways to reduce design-to-manufacturing cycles is a key priority for industrial companies. Companies need to rapidly design standard compliant sheet metal parts in 3D that are complex in addition to being ready-to-manufacture. 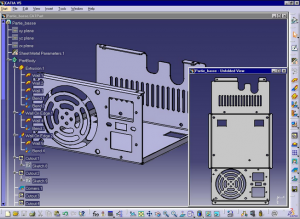 The CATIA Fabricated Product Creation option is dedicated to the rapid design of sheet metal parts. Designers benefit from already capitalised know-how and can take into account manufacturing constraints early in the design. In this way, they can create sheet metal parts that are fully compliant with company rules and standards for efficient manufacturing. The modern manufacturing requires companies to reduce product development time and capitalise their know-how so that they can respond quickly to customer needs. In order to make it happen, they must expand their ability to innovate by automating redundant tasks and focusing on innovative projects. 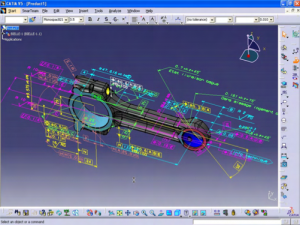 CATIA – Jig and Tooling creation simply and quickly creates all the elements of tooling including structures (linear or curved), plates, using standard or user-defined sections, generic, and user tooling components. Benefiting from a rich variety of standard and user-defined components with embedded drilling and manufacturing information, the engineer is able to design faster than ever and to focus on added value tasks. 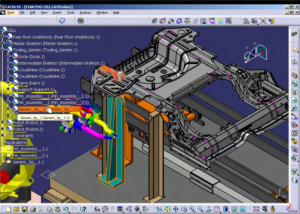 Fully integrated in the CATIA environment, the designer is able, for instance, to seamlessly perform extensive stress analysis on his structure elements and beams, create drafting, or generate all information needed for NC programming. Increasing product development complexity has made the realisation of innovation impossible in 2D design alone. Most engineers find it convenient to bring forth ideas with 2D drafts, but the transition from 2D to 3D design is often chaotic and very time consuming. Companies need to transform their 2D blueprints into 3D as uncomplicated and as quickly as possible. 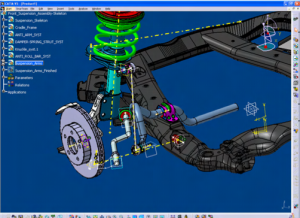 CATIA – 3D Layout & Annotations answers to customers looking for a smooth transition from 2D to 3D and fosters innovation with a unique 2D/3D approach for conceptual design. Moreover, it reduces reliance on 2D drawings by capturing all drawing information, 3D tolerance specifications and annotations inside the 3D model and increases the pervasive usage of 3D as the master representation inside and throughout the enterprise. Global demand and breakthrough technologies are increasing the complexity of product designs and the supply chains needed to build them. These distributed organisations need a way for stakeholders to view, understand and evaluate a virtual product definition. CATIA – Technological Specification Review enables to place 3D product definition at the heart of people interactions and communications. It gives access to critical product information including functional annotations and tolerancing, fasteners types and positions and finite element analysis results. It also provides companies with a way to filter sensitive information before sharing 3D designs with partners. CATIA – Mechanical Product Creation provides the most complete and robust solution, tailored for any company that wants to make the difference by developing rapidly high-quality mechanical products with the highest productivity in design changes. 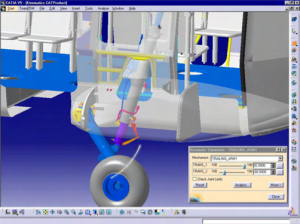 CATIA – 3D Master provides 3D definition and management of standard-compliant tolerance specifications and annotations for parts and products. It transforms 3D as the master representation, directly re-usable for manufacturing planners and shared throughout the enterprise. Manufacturers must overcome unique technical and strategic challenges to keep pace in today’s virtual global marketplace. 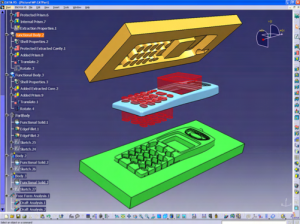 As global demand and breakthrough technologies increase the complexity of product designs, engineers need more advanced desktop tools to quickly validate and release designs into production. CATIA – Animated Product Review provides a comprehensive set of tools to simulate complex product behaviour in one unified environment. This enables more decisions in the virtual stage of development — before investing in expensive prototypes, production resources, and product launch activities. 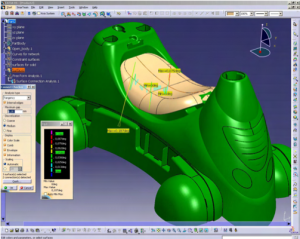 The process of designing and creating moulded parts is often time-consuming and inflexible, which is incompatible with accelerating market trends for new design. Companies need to be equipped with state-of-the-art and highly productive technologies to maintain a competitive edge. Moulded product creation delivers ultra fast functional modelling for unmatched productivity and flexibility, to address the complete design-to-manufacturing preparation process of moulded parts. CATIA – Mechanical Shape Optimisation embeds unique breakthrough technologies enabling to perform quickly global morphing on complex shapes. It allows either to deform interactively shapes or to capture the realistic one based on real-world tests of the product in operation. 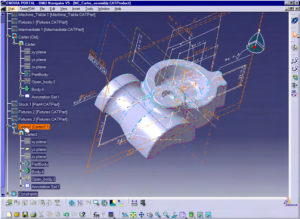 This easy-to-use environment helps designers to achieve a real productivity gains to optimise the product or the tooling definition. In traditional systems, the design organisation is messy and makes design modifications very complicated. The lack of collaboration between designers is responsible for increasing iterations and product design time. Companies must acknowledge that aesthetically appealing products are not always manufacturable. 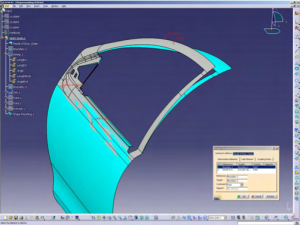 CATIA – Freestyle Shape Design is used to design details on styled shapes thanks to the powerful technology that makes it possible to transform conceptual shapes into high-end styled ones that are then ready for class-A or manufacturing processes. 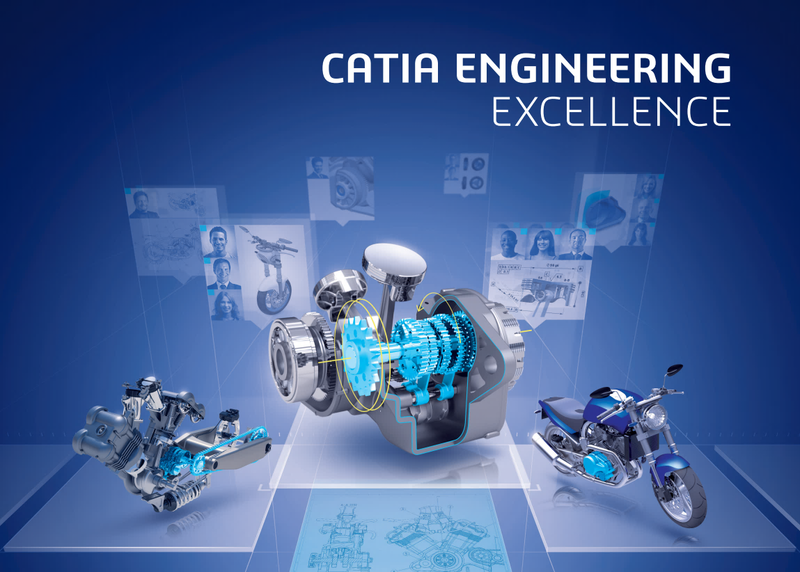 Talk to us about CATIA V5 Engineering Excellence today!